In the meantime, it is super cold here. Not compared to places where it snows and whatnot, but it’s cold for my area, and it’s very cold to work outdoors in! It’s times like this that warm comfort food is perfect. And for me, at least, Eggplant Parmesan fits that bill. It’s my favorite Italian dish of all times. Yes, it is a little time consuming with multiple steps and components, but so worth it! 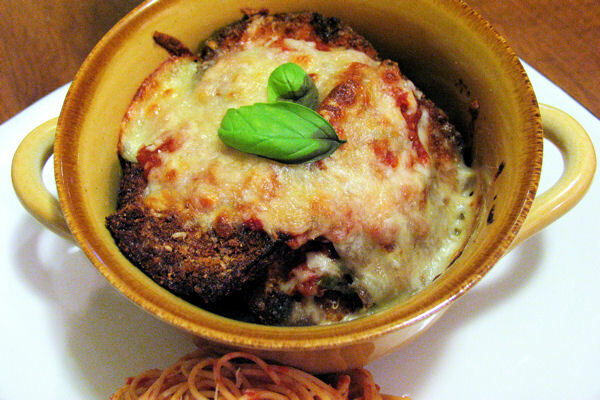 Especially since this recipe is baked instead of fried, so it’s healthier than your standard Eggplant Parmesan, and certainly doesn’t lack in flavor like some healthier alternatives sometimes do. To prepare the eggplant: Toss half of eggplant slices and 1½ teaspoons kosher salt in large bowl until combined; transfer salted eggplant to large colander set over bowl. Repeat with remaining eggplant and kosher salt, adding second batch to colander. Let stand until eggplant releases about 2 tablespoons liquid, 30 to 45 minutes. Arrange eggplant slices on a triple layer of paper towels; cover with another triple layer paper towels. Firmly press each slice to remove as much liquid as possible, then wipe off excess salt. While eggplant is draining, adjust oven racks to upper- and lower-middle positions, place a rimmed baking sheet on each rack, and heat oven to 425 degrees F. Pulse bread in food processor to fine, even crumbs, about fifteen 1-second pulses. 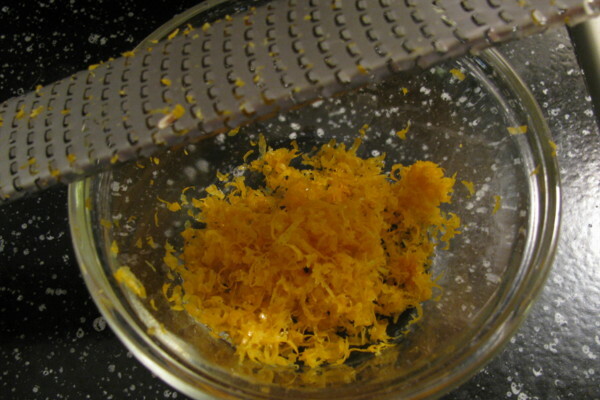 Transfer crumbs to pie plate and stir in 1 cup Parmesan, ¼ teaspoon salt, and ½ teaspoon pepper; set aside. Combine flour and 1 teaspoon pepper in large zipper-lock bag; shake to combine. Lightly whisk eggs in a second pie plate. Place 8 to 10 eggplant slices in bag with flour; seal bag and shake to coat eggplant. Remove eggplant slices, shaking off excess flour, then dip in eggs and let excess egg run off, then coat evenly with bread crumb mixture; set breaded slices on wire rack. Repeat with remaining eggplant. Remove preheated baking sheets from oven; add 3 tablespoons oil to each sheet, tilting to coat evenly with oil. Place breaded eggplant on the sheets in a single layer; bake about 30 minutes, until eggplant is well browned and crisp, switching and rotating baking sheets after 10 minutes, and flipping eggplant slices with wide spatula after 20 minutes. Leave oven on. To make the tomato sauce: While eggplant bakes, heat olive oil in a large saucepan over medium-high heat. Add garlic and red pepper flakes and cook until garlic is light golden and fragrant; stir in the crushed and diced tomatoes. Bring sauce to boil, then reduce heat to medium-low and simmer, stirring occasionally, until slightly thickened and reduced, about 15 minutes. Stir in basil and season to taste with salt and pepper. To assemble: Spread 1 cup tomato sauce on bottom of 13×9-inch baking dish. Layer in half of eggplant slices, overlapping slices to fit. Spread 1 cup sauce over eggplant and sprinkle with half of mozzarella. Layer remaining eggplant and dot with 1 cup sauce, leaving majority of eggplant exposed so it will remain crisp. Sprinkle with remaining mozzarella and ½ cup Parmesan cheese. 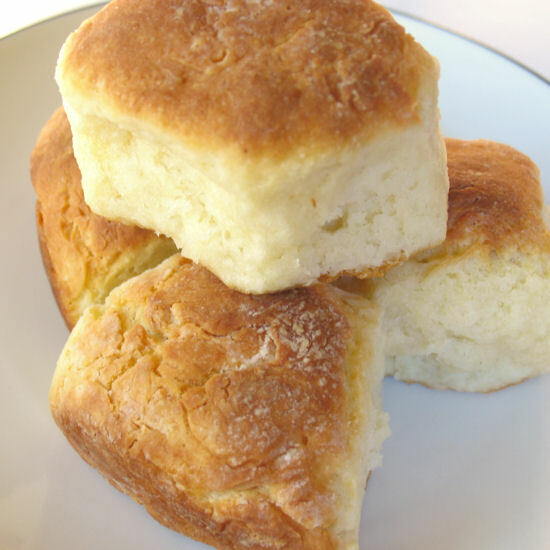 Bake at 425 degrees F for 13 to 15 minutes, until bubbling and cheese is browned. 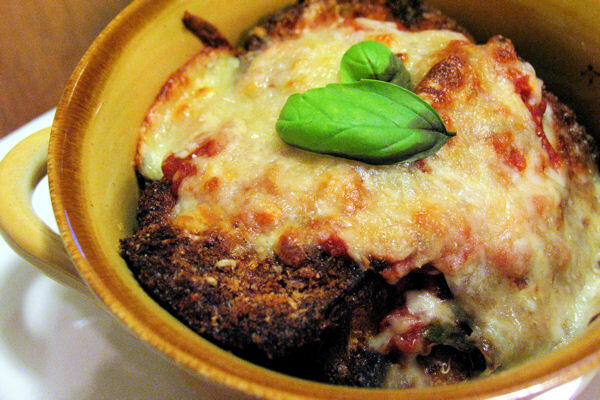 Cool 10 minutes; scatter basil over top, and serve, passing remaining tomato sauce separately. 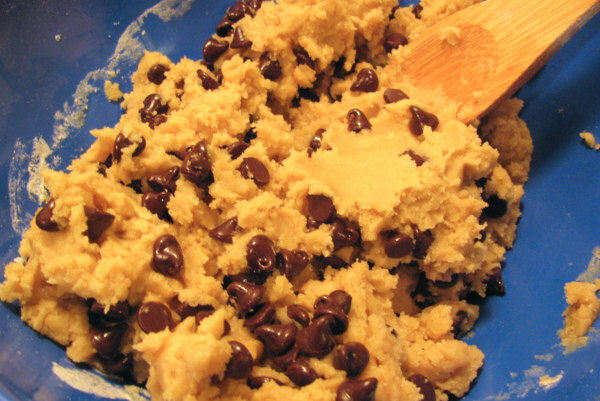 Note: Dough can be stored in the refrigerator for 2 days or kept frozen for up to 1 month. Adjust oven racks to upper and lower-middle positions. Preheat oven 325 degrees F. Line two cookie sheets with parchment paper. In a medium bowl, whisk together the dry ingredients; set aside. 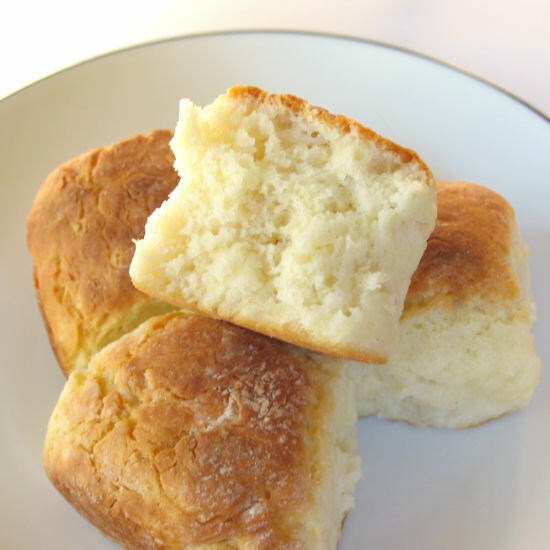 In a large bowl, mix butter and sugars by hand or with a mixer until thoroughly combined. Beat in egg, yolk, and vanilla until combined. Add dry ingredients and mix slowly until just combined. Stir in chocolate chips. 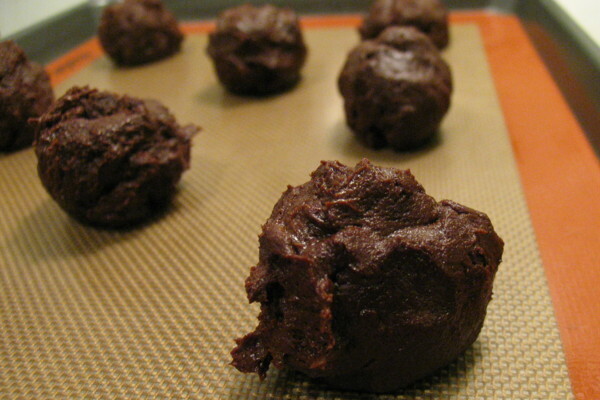 Roll a half-cup of dough into a ball. 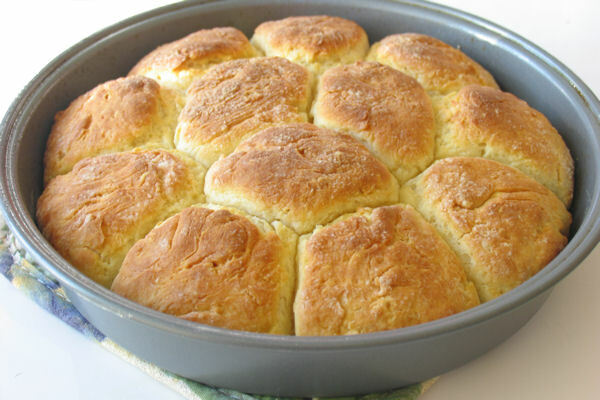 Holding dough ball in fingertips of both hands, pull apart into two equal halves. Place each dough piece on the cookie sheet, with the jagged surface facing up, leaving ample room between each ball. Bake for 12 to 16 minutes, reversing position of cookie sheets halfway through baking, until cookies are light golden brown and outer edges start to harden yet centers are still soft and puffy. Do not overbake. Cool cookies on sheets until able to lift without breaking then transfer to a wire rack to cool. I love reading cookbooks. Especially dessert cookbooks! Whenever I get a new one, I sit on the couch reading over each recipe making a mental note of which recipes I want to try until I read over the book again, and again. When I was trying to decide which cookbook I wanted next, I was trying to decide if I should get Baking Illustrated, from Cook’s Illustrated/America’s Test Kitchen. I was browsing through the book in the bookstore and two recipes really jumped out at me. 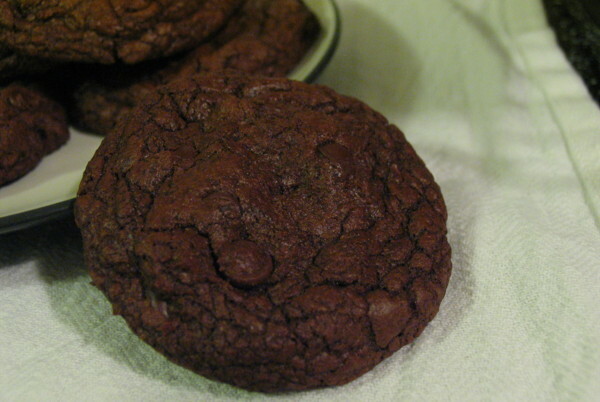 Chewy chocolate chip cookies, and these thick and chewy triple-chocolate cookies. I was so close to buying the book just so I could try these recipes, until I remembered seeing other bloggers referencing Cook’s Illustrated and their website. Instead of the book, I opted for a membership to the website and sure enough, both cookie recipes were there. Yay for me! 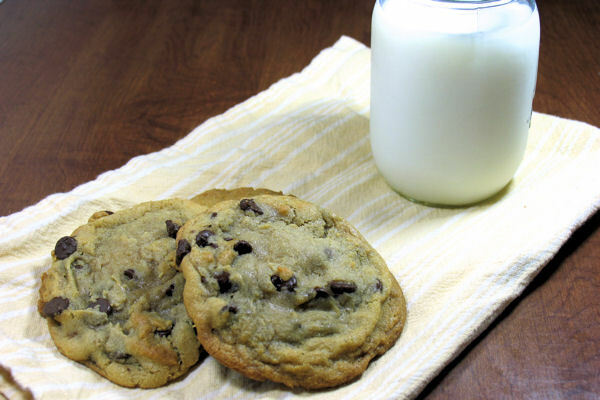 And you… because now you can try these amazing cookies! Melted chocolate, chocolate chips, and Dutch-processed cocoa powder make for a triple whammy of chocolatey goodness. Even after a couple of days, if they last that long, they’re still gooey in the middle! Amazingly chocolately, fudgy, and downright delicious. 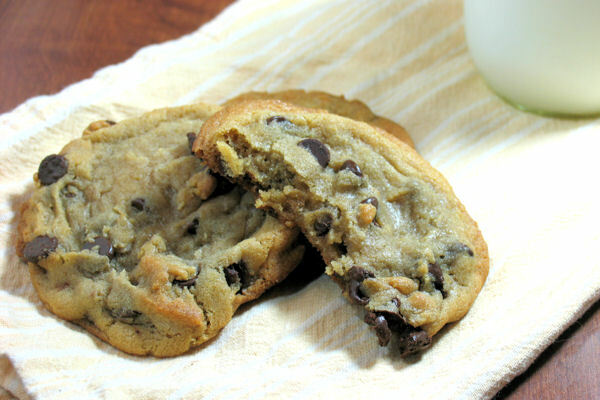 This cookie is any chocoholic’s dream come true! Adjust oven racks to the upper-middle and lower-middle positions and preheat oven to 350 degrees F. Line two baking sheets with parchment paper. Whisk together flour, cocoa, baking powder, and salt in medium bowl; set aside. Melt chocolate in medium heatproof bowl set over pan of almost-simmering water, stirring once or twice, until smooth; remove from heat. Alternatively, to melt the chocolate in a microwave, heat at 50 percent power for 2 minutes, stir, then continue heating at 50 percent power for 1 more minute. If not completely melted, heat an additional 30 to 45 seconds at 50 percent power. In a small bowl, beat eggs and vanilla lightly with fork, sprinkle coffee powder over to dissolve, and set aside. In bowl of standing mixer fitted with paddle attachment, beat butter at medium speed until smooth and creamy, about 5 seconds. Beat in sugars until combined, about 45 seconds; mixture will look granular. Reduce speed to low and gradually beat in egg mixture until incorporated, about 45 seconds. Add melted chocolate in steady stream and beat until combined, about 40 seconds. Scrape bottom and sides of bowl with rubber spatula. With mixer at low speed, add dry ingredients and mix until just combined. Do not overbeat. Stir in the remaining 2 cups of chocolate chips. Cover with plastic wrap and let stand at room temperature until consistency is scoopable and dough is less sticky, up to 30 minutes. Scoop dough onto parchment-lined cookie sheets with 1¾-inch ice cream scoop, or shape dough into balls the size of golf balls. Leave about 1½ inches between each ball. Bake, reversing position of the baking sheets halfway through baking (from top to bottom and front to back), until edges of cookies have just begun to set but centers are still very soft, about 10 minutes. 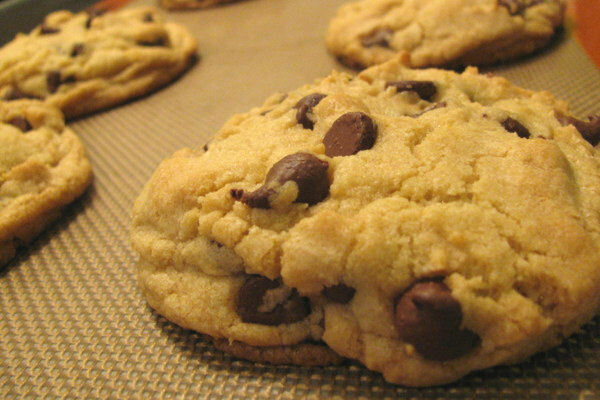 Do not overbake; cookies will continue cooking as they cool. Cool cookies on sheets about 10 minutes, slide parchment with cookies onto wire racks, and cool to room temperature. Cover cooled baking sheets as needed with new piece of parchment paper. Scoop remaining dough onto parchment-lined sheet, bake, and cool as directed. Remove cooled cookies from parchment with wide metal spatula and serve. More lemon! As spring intensifies, I’m craving even more lemon and citrus. The light, fresh flavors of citrus just scream spring and sunshine, both of which are plentiful right now. I’m on a big lemon kick right now, adding it to whatever I can while I have a fresh and abundant supply. So when I came across this recipe on Cook’s Illustrated, I knew it was something I was going to have to try. 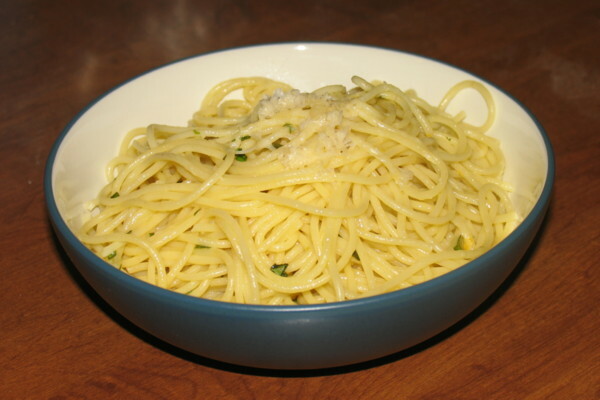 Lemon and pasta… My type of dish! This pasta was so good that I made it twice within a few weeks, and I normally don’t repeat meals that often. It was mildly creamy, but oh so lemony. And the more lemon flavor you want, the more lemon juice you can add to adjust it to your liking. As for the basil, it adds a nice splash of color, and it’s nice to use if you have it on hand, but I didn’t feel it added much to the flavor. Heat oil, cream, lemon zest, lemon juice, and 1 cup pasta water in now-empty Dutch oven over medium heat and bring to simmer; cook for 2 minutes. Remove pot from heat, return pasta, and stir until coated. Stir in ½ cup more pasta water, and remaining lemon juice if you want more lemon flavor. Add the cheese and pepper and toss until the cheese is evenly distrubuted. Cover and let pasta stand 2 minutes, tossing frequently and adjusting consistency with remaining ¼ cup reserved pasta water if necessary. Stir in basil, if using, and season with salt and pepper to taste. Serve, drizzling individual portions with oil and sprinkling with more cheese.